A tiny hotfix to reduce the chance of Bruma's Ayleid load screen being added to the random load screen pool from 15% to 1%. The Beyond Skyrim team for their fantastic work on Bruma. Beyond Skyrim - Bruma is an awesome mod. One of the only drawbacks? It adds a load screen explaining about the Ayleids, which is added to the random load screen pool a whopping 15% of the time, wherever you are and whatever you're doing. 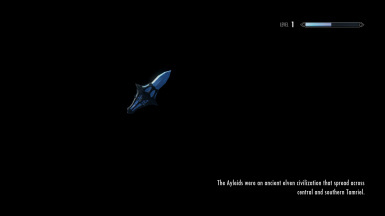 This means you see it a LOT - more than any other load screen in the game - without ever even going to Cyrodiil. This is a tiny hotfix to reduce the % chance of that load screen being available from 15% to 1%, meaning you should see it 1/15 times as often as you did before. That's all, folks! I am not part of the Beyond Skyrim team. This patch is not supported by the original author(s), in any way, shape or form, and is an independent mod with its own responsibilities and faults. Make sure you have Beyond Skyrim - Bruma downloaded and installed. Download and install the patch, preferably using NMM or MO. If you want to do it manually, it should be as simple as dragging and dropping the .esp file into your "data" folder. Uninstall the patch using your mod manager, or delete the .esp file from your "data" folder. This should safely revert any of my changes back to vanilla. However, as a rule, uninstallation of mods mid-play-through is not supported by Skyrim, and is a practice that should be viewed with considerable caution. In addition to modding, I'm a semi-professional writer in my spare time! If you'd like to see some of my other stuff (short stories, books, blog posts etc.) then I'd absolutely love you to support me by checking out my website, or alternatively, if you're one of those wonderful people who'd like to help pay my rent, by buying a copy of my latest novel!